WHAT IS YOUR CREATIVE LINEAGE? This is part II, a continuation of the thoughts from “Steal Like an Artist, by Austin Kleon. Past artists, teachers and mentors have influenced us all. 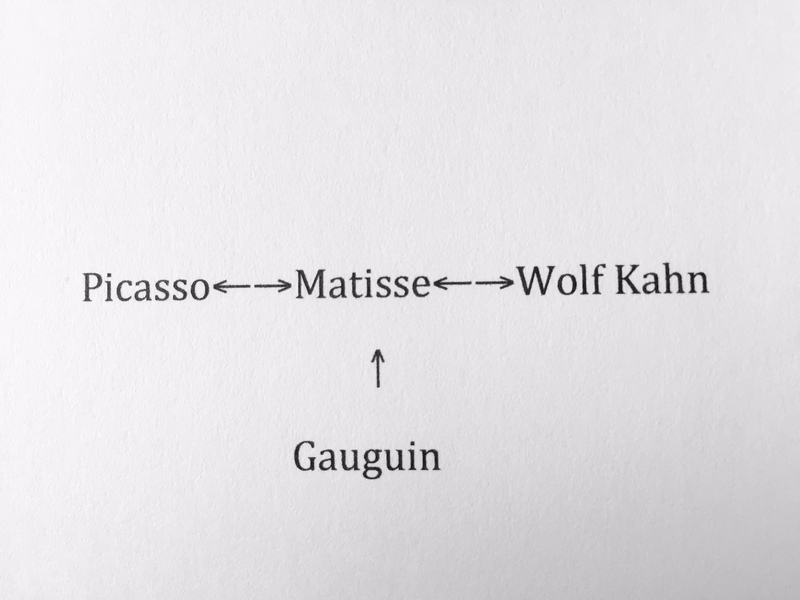 As Austin Kleon says, “nothing comes from nowhere…nothing is completely original.” He advises that we look further in-depth of who inspired us and how they have influenced us. Looking back at my influences, I do remember it started at a young age. 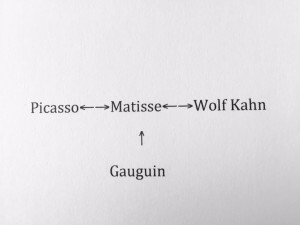 Picasso was my first influencer, at seven, and I’m sure I didn’t know who he was. I was attracted to one of my father’s album covers that featured a one-eyed painting of Picasso’s. This led me to draw portraits missing one eye for many years, up to and throughout high school. I tended to have an African influence in my drawings, of which through my research I found that Picasso was also influenced by an African statue Matisse gave him. 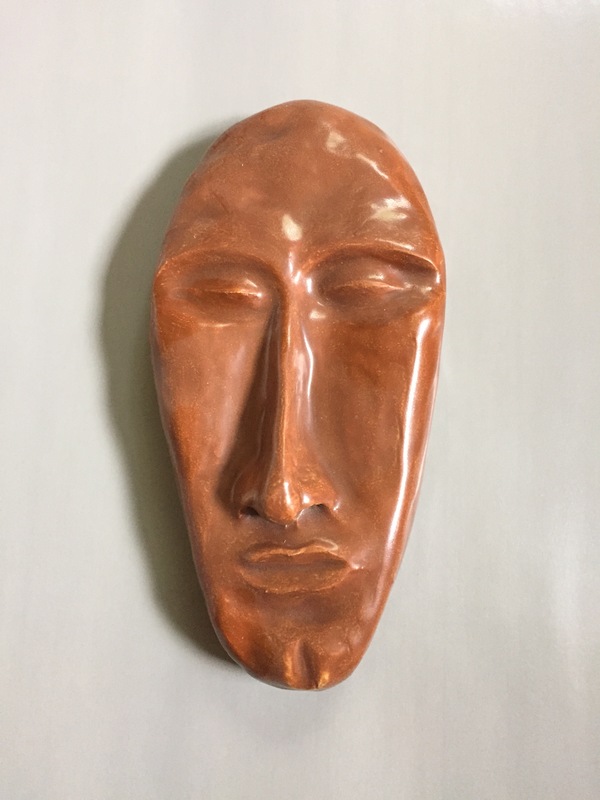 Below is an African motif sculpture I created in 7th Grade. Gauguin’s influence is also seen in my paintings; not only the color use, but also the flat planes and underlying abstract form. Matisse was always one of my favorites, reflecting the importance of design, color and flat shapes in my work. Wolf Kahn’s influence continues with my fearless love of color. As an added note, Matisse also influenced Wolf Kahn’s expressionistic use of pure color. My desire, like Kahn, is to create a unique use of color. Then there are the artists that others believe you are similar to. Many see a connection to Edward Hopper. Although I have admired his work, I never thought he was a great influence of mine, but on doing some research I discovered similarities in our loves and life. Hopper’s love of movies, Film Noire, bringing the theatrics in his scenes, his contrast of light and darks, and the theme of life still goes on, perhaps can be seen in my figurative pieces. My past teachers have also seen similarities in my work to Cezanne and Edvard Munch. Neither have I felt were my influencers. What I have found is that in my research there are amazing overlaps. The artists that I admire have had some connection to the same artists that I am influenced by; “no man is an island”. I realize that I am not only identifying with the artist, but also the technique. This became more evident as I saw the techniques repeated in many artists that I love. My desire now is to enhance these characteristics in future work giving me a future goal and direction. This is a great exercise to not only help you understand where you have been, but where you are going. Who were your biggest influences? Who is in your artistic lineage? 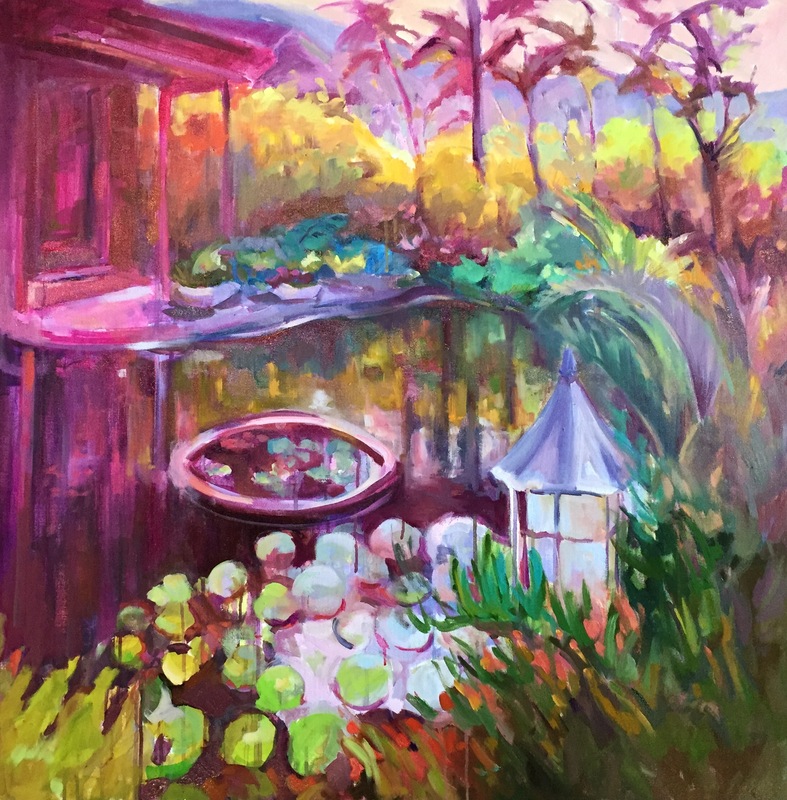 ** “Pond of Good Fortune” 36″ x 36″, acrylic on gallery wrapped canvas, Price $3240, If you would like to purchase this painting please contact me at jvander51@msn.com or call (408)460-7237 Thank you!